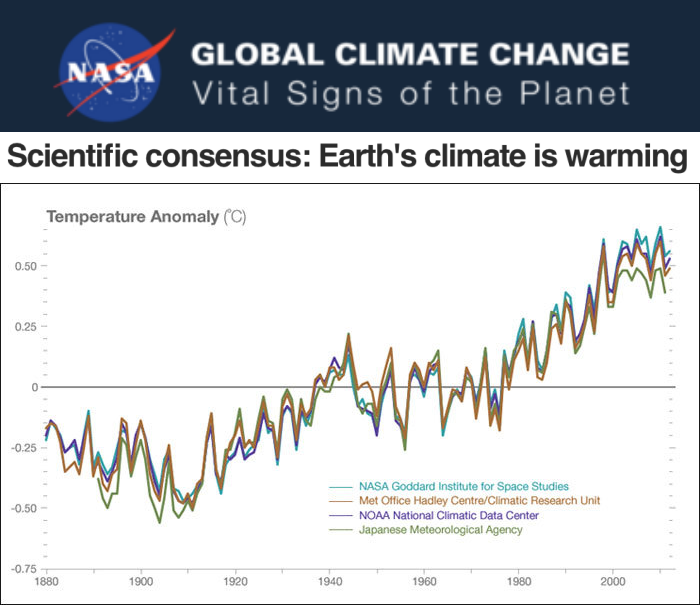 NASA claims that the blade of the hockey stick is settled science, which four different independent agencies (NASA, NOAA, CRU and JMA) agree upon very closely. The agreement is claimed to be within a few hundredths of a degree. The graph above is utter nonsense. 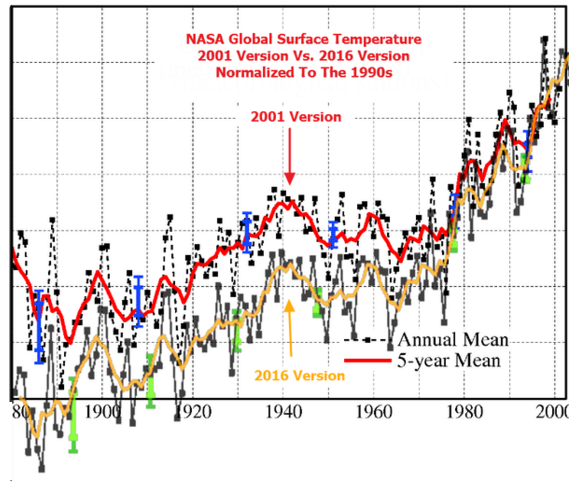 NASA temperature data doesn’t even agree with NASA temperature data from 15 years ago. 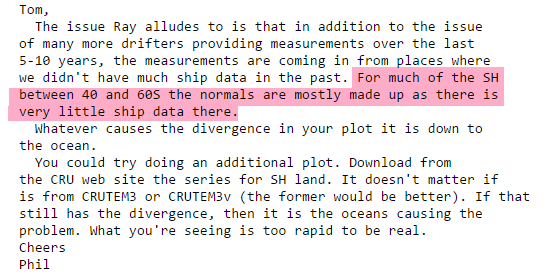 NASA has altered their own data by 0.5C since 2001, yet claims that everyone agrees within about 0.05C. The Japan Meteorological Agency has altered their own data by a similar amount. 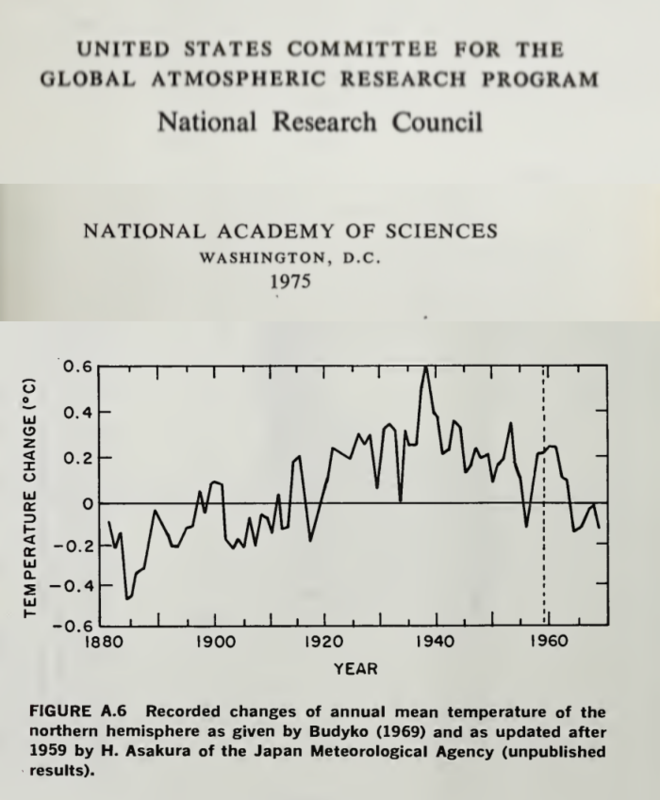 In 1975 they showed no net warming in the Northern Hemisphere from 1900 to 1970. Hundreds of millions of dollars that have gone into the expensive climate modelling have all but destroyed governmental funding of research into natural sources of climate change, like clouds, ocean currents, solar activity (not modelled in IPCC CMIP5 ensembles) . 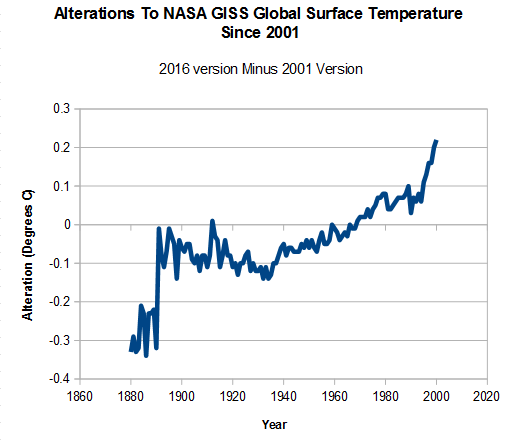 For years the modelers have maintained that there is no such thing as natural climate change…yet they now, ironically, have to begrudgingly invoke natural climate forces to explain why surface warming has essentially stopped over the past 18+ years!